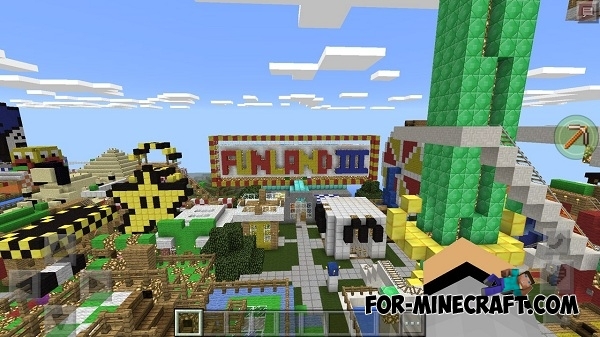 FUNLAND 3 is a huge map with a variety of different amusements. The park has a lot of interesting buildings: the roller coaster, McDonalds, droppers, water slides, towers, labyrinths, and much more. There's a lot of fun and you will be interesting to spend time. 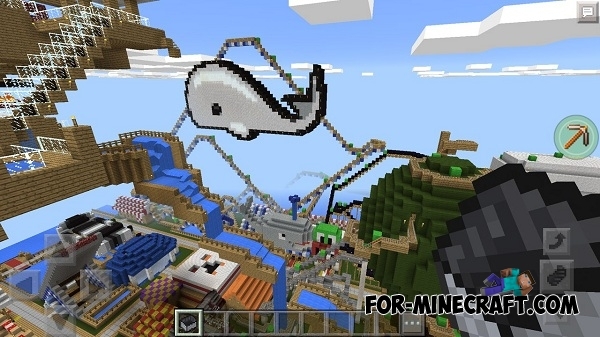 To explore the entire map you will need about half an hour.